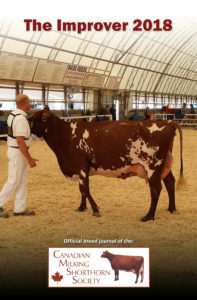 Canadian Milking Shorthorn Society – You'll Love to Own the Red, White and Roan! 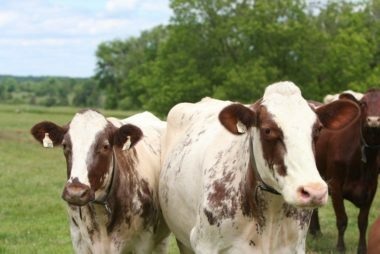 Canadian Milking Shorthorns lead the industry for longevity and fertility while being efficient converters of forages to milk! Les Shorthorns Laitier dominent l'industrie en termes de longévité, de fertilité et d'efficacité alimentaire! Check out our listing of available AI sires in Canada, including CMSS Syndicates sires with Semex! 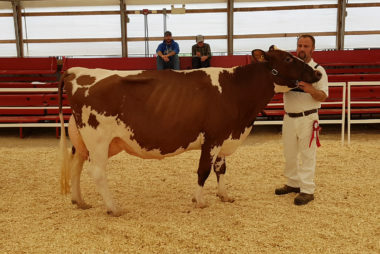 Camflat Inforcer Mary EX-92, 2018 National Show Grand Champion. Click the photo to see full show results! Cliquez le photo pour les resultats complet! 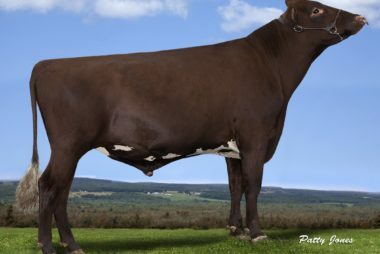 Iceland is 2018 Cow of the Year!